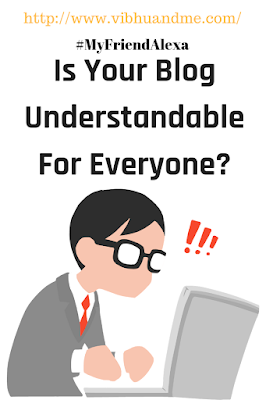 #MyFriendAlexa - Is Your Blog and Content Understandable For Everyone? So far we have understood how to make the blog content perceivable and how to make blog operable for specially-abled readers. Now comes the part of being understandable. This is a common issue in blogging websites even for readers with no disability. At times the navigation of the website is so confusing that readers don't understand how to reach the content that suits their taste. During #MyFriendAlexa reading only, I landed on a blog where so much was happening on the first page. And I took some time to find out where were the actual blogs. 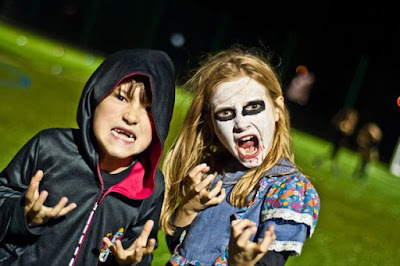 Social media handles, blogging achievements, ads and running text, everything was there at the first page of the blog. However, the most significant part of the blog, the content itself, was behind a small clickable link. A blog may be perceivable and operable, but unless the content and navigation are obvious, the site is far from becoming accessible. Other than navigation, one more thing that makes blogs tricky is the difficult language. I know it depends upon the nature of the blog but using easy to understand and comprehend sentences make more sense to users who put so much energy into using the computer or a smartphone. When I read blogs and I come across a word that is new to me, I immediately google its meaning. But not every reader can do this effortlessly. How to make your blog understandable? As I said, keep it simple. No fancy widgets, no un-necessary content on home page, fewer images more text and absolutely no self-running content. Simplicity is the best way to come closer to accomplish an accessible blog. Make sure you have a good enough font for your blog text. Keep in mind low vision users (elderly people mostly) who love to read. 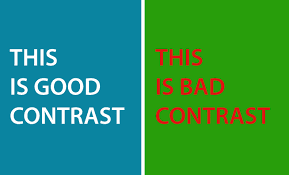 Make sure to maintain a good color contrast between text and background colors. For example, blue text on a red background is a bad contrast for low vision users. Ideally, black text on a white background is the best way to present your content for everyone. Make sure not to use color or shape related instruction. For example "click the red button below". Now for color deficient users identifying red color is nearly impossible. Make sure all unusual words, jargon and acronyms explained clearly. Make sure your blogging website has easy to use navigation. Start your content at the first page only if possible. At least, put some of your the most popular posts on the home page. It will be good to provide summaries of lengthy articles and posts. It will be good to provide a translation option for regional language posts. It will be good to label to the Search box for the benefit of screen reader users. I hope all these points make sense to you. Except the point 4 which is to test screen reader compatibility, every point is self explanatory. No technical knowledge is required to put through these changes in your blog. 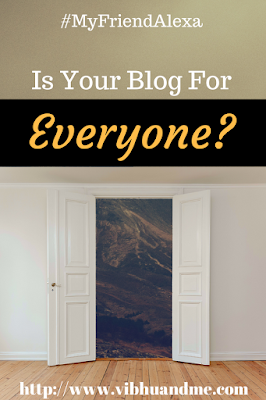 Take your first step towards making your blog accessible. It is needed. Let us all help in building this digital world for Everyone. I have read your previous one on this. I loved that too. This is also a very informative blog. All the points really are good tips for me. i still struggle to understand this world. Wonderful Post! !